This product is currently unavailable. We recommend these similar products. Train Reaction Time & Hand-Eye Coordination. The unpredictable bounce of these rubber balls forces athletes to make split-second decisions in order to catch the balls. The random bounce helps train reaction time and hand-eye coordination, so athletes improve overall coordination and depth perception. 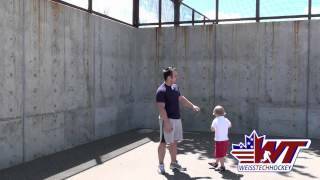 Throw the balls against any hard surface for multidimensional drills. The Super Reaction Ball is larger and heavier than the standard 6.4 cm reaction ball making it have a more dynamic rebound and provides a harder workout. The Pro's choice. Great Tool For Developing Eye-Hand Coordination. Learn How To Handle Bouncing Pucks. Excellent Tool For Rebounding Skill Development. Has a compact design producing faster, more erratic bounces.